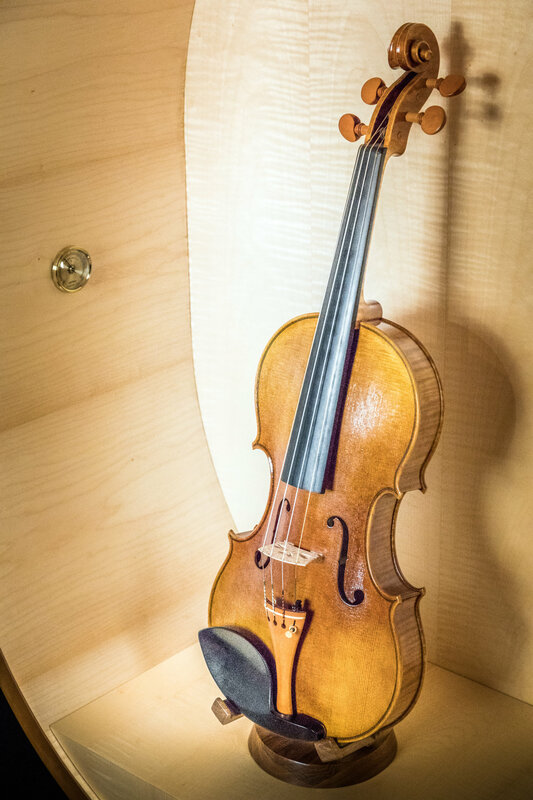 An exquisite home for your precious instrument. The traditional French secretaries merge both the storage and the writing components of the Baroque writing tabernacles into a single corpus. We wanted to take one step further and create a furniture which breaks this convention. The redesigning of the structure brought about a large open interior, which may serve as storage space for larger, valuable possessions. On that account, we dedicate this piece to store and exhibit a violin or a viola. 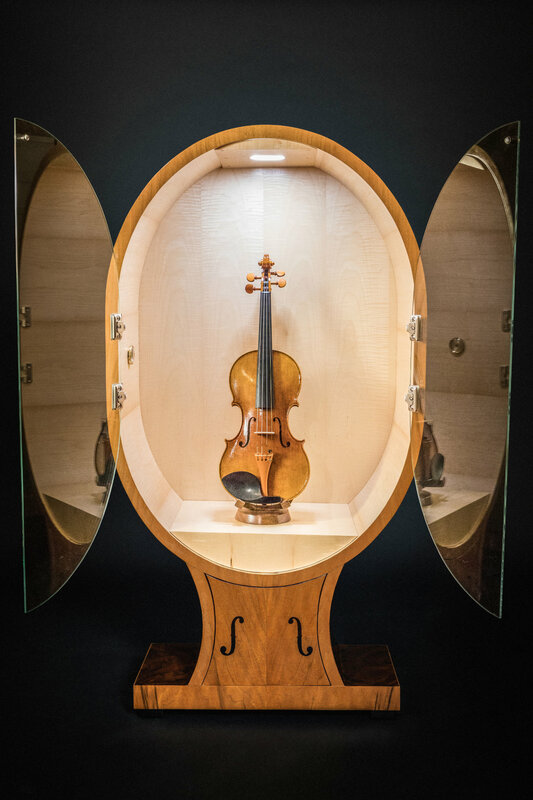 It is a perfect and unique place for your precious instrument: beautiful curly maple veneers, built-in hygrometer, safety glass doors and touch controlled lighting system. 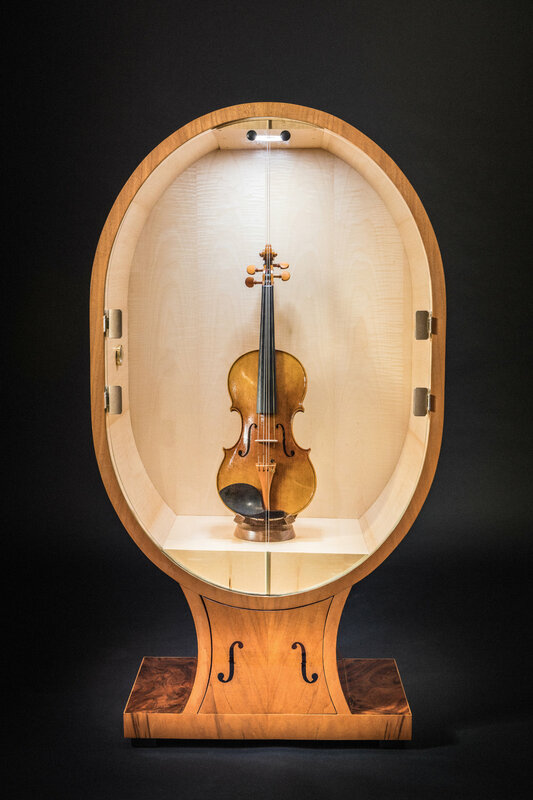 The Violin Secretaire is produced in a limited series of only 100 pieces. Its dimensions are: 128 x 68,5 x 35 cm. Additional special requirements are attainable.